My company had a large booth at the the 2013 Consumer Electronics Show. I was honored to be invited to attend as a Subject Matter Expert for some of my companies products. 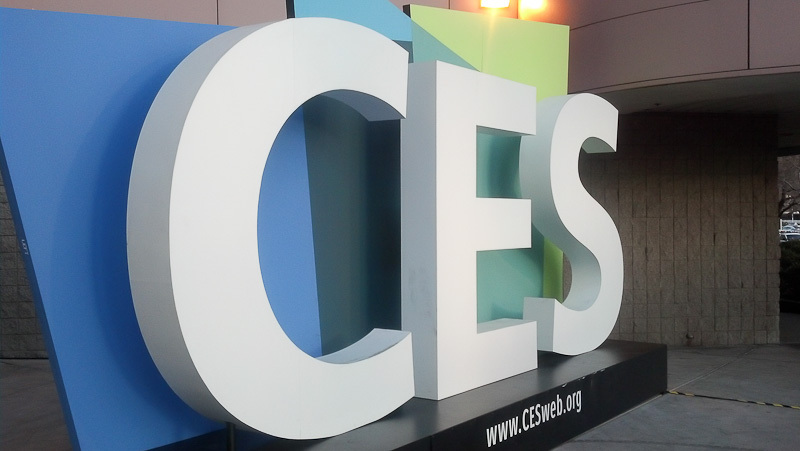 Many of our customers were at CES2013, and I was part of scheduled and impromptu meetings. I stayed at the Palazzo Hotel on the Las Vegas Strip. It was very nice, high-end luxury hotel. My company booked me in a high-end suite. I am sure we must have gotten a good discount — because normally, this hotel would be way too fancy for our normal business trips. The Palazzo is new to me. It is located adjacent to and behind the famous Venetian Hotel located on the Las Vegas Strip. Once you enter the hotel, the two hotels appear to seamlessly tie together. Really very nice. The tradeshow was huge. Over 150,000 attendees. I was last in Las Vegas a few years ago at the CTIA (Wireless Industry) tradeshow. It had 50,000 attendees. I thought CTIA was big; CES is huge! The biggest challenge for attendees is getting from one building to another; the bus system worked pretty well, expect for the first day, when a traffic accident made a 15 minute bus ride into a 45 traffic jam. 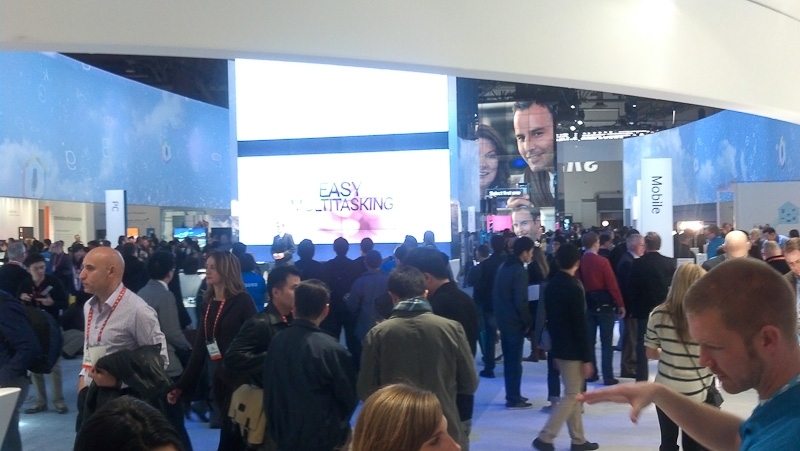 Samsung’s CES2013 Trade Show Booth — Huge!! Since I was mostly in meetings, I didn’t get a chance to see much of the CES show. The biggest buzz was around 4K TVs (OLED w/4times the resolution of today’s HD TVs). The consumer businesses had the biggest booth, and I was really impressed by the size of Samsung’s. Also, to their credit, both INTEL and Qualcomm had excellent booths, even though they are just integrated circuit chip company’s… all the new mobile phones have Qualcomm chips inside, and everything else has INTEL. 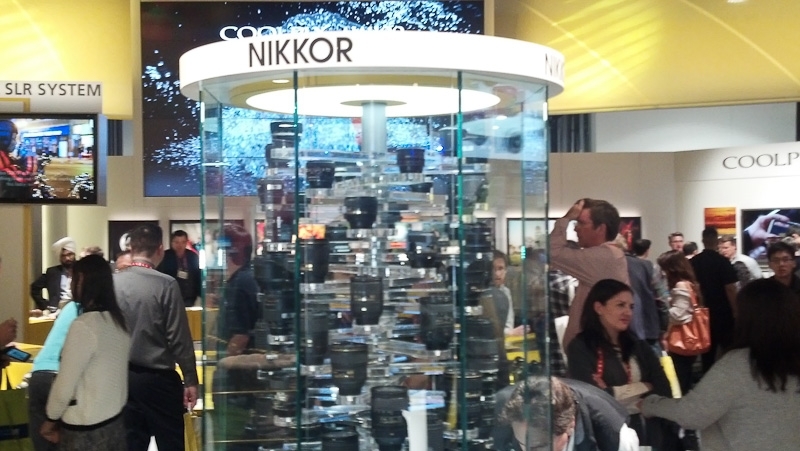 As an amateur photographer, I loved seeing all of the Nikkor lens on display at the Nikon booth. Everything in their portfolio was there and they had a really nice setup to let you test shoot the telephoto lens.